A breast lift is intended, as the name implies, to lift the breasts to a higher position on the chest. But some people think that a breast lift decreases the size of the breasts. There has been little research on this, but a recent study by the American Society of Plastic Surgeons shed some light on this issue, finding that following a breast lift women reported they were wearing a smaller bra, with an average decrease of one bra cup size. But the finding isn’t necessarily because the breasts are smaller, it’s because the profile of the breasts changes after a lift. Dr. Katie Elizabeth Weichman and her colleagues at New York University conducted the study. 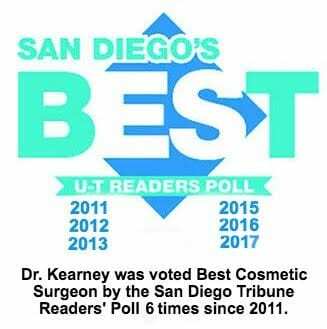 The results were published in Plastic and Reconstructive Surgery, the official medical journal of the American Society of Plastic Surgeons in July 2014. For the study, researchers performed a follow-up survey of 20 women who underwent a breast lift, clinically termed mastopexy, at an average age of 47. It’s important to note that the subjects did not change their breast size through augmentation or reduction, but only had the breasts lifted. The study queried these women five years after their surgeries, asking about their bra cup size before versus after breast lift surgery. Weight changes and other relevant factors were taken into consideration. The women reported an average decrease of approximately one cup size, for instance going from a D to a C. To eliminate sizing variations by manufacturer, the study made sure all of the women were wearing the same brand of bra. Study authors believe this change in cup size is directly attributed to the difference in the shape of the breasts before and after a lift. Women opting for a breast lift have ptosis (sagging) of the breasts from pregnancy, breastfeeding, and normal aging. The study says, “It is our contention that the ptotic breast fills out a larger (than actual) brassiere cup size.” This is probably due to more of the breast mass sitting lower on the chest. A larger cup-size bra may be more comfortable in this situation. When the breasts are raised, more mass sits higher, so a smaller cup size is a better fit for the higher breasts. Do you feel as if your breasts have sagged to a degree you want to do something about it? Call Dr. Kearney at 858-677-9352 and set up a consultation for a breast lift.